The joys of having a legislative job overseeing a corporate structure with what seems like nearly 300 agencies (see https://www.ca.gov/agenciesall) and a workforce and payroll compensating more than 200,000 employees (see https://www.sco.ca.gov/ppsd_empinfo_demo.html), it takes time to build relationships with key managers. After eight years as a County Supervisor, I felt as if I was just getting to the comfort level of actually knowing the names of key second-tier department managers. But, once you have developed the necessary relationships, term limits kicks in and forces you out of the door. Only to be replaced by someone who will need the same eight years to get up to speed and also be summarily shown the door. Therefore, it is hard to be overly critical of someone with whom you have a rapport. But the Sacramento Bee and the Merced Sun-Star provide a review of Ms. Frost’s formal educational credentials, or lack thereof. From what I understand, she had a family to raise while making it to one of the top jobs in the public institutional retirement system industry. I thought that seeing women succeed in such endeavors would be a priority for our state. The author of the Naked Capitalism piece is justified in criticizing the Board of CalPERS. As two-thirds of the Board’s membership is comprised of public employee union representatives, I will tell you that these individuals do not necessarily represent the requisite brain trust to be running the largest pension system in the nation. I can provide video clips or give you links to articles to prove my point. The subject made me wonder how much better Bill Gates would have done if he had not dropped out of Harvard, to co-found Microsoft Corp., and had only stuck it out until he graduated. Would he still have attained the notoriety at one time in recent history of being considered the world’s richest person? Or Steve Jobs, who graduated from high school in 1972, one year ahead of me, and started at Reed College, only to drop out in 1974. Would I still have an iPhone if he had stuck it out and finished college first? 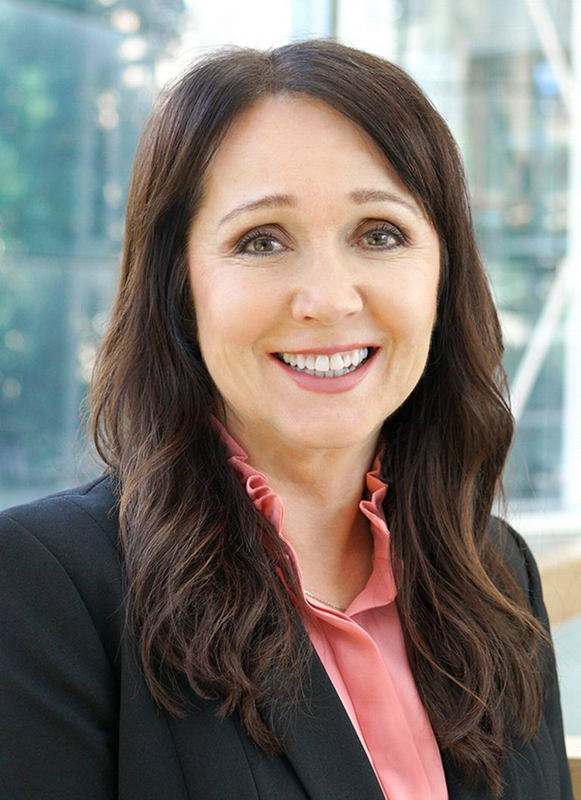 Marcie Frost did not claim to have a college degree when she applied to lead the California Public Employees’ Retirement System in 2016. She emphasized it in blue ink, writing “not degreed yet” in a box that asked about her education. But two years after she got the job, Frost is under fire with a financial blogger alleging that she mischaracterized her education in her application and in a subsequent press release by implying she was further along in obtaining a degree than she actually was. The report from blogger Susan Webber now is raising questions among retirees who are learning for the first time that the CalPERS chief executive officer did not graduate from college. Webber’s reporting this year has already led CalPERS to oust a chief financial officer and she has a dedicated readership among people who pay close attention to the fund. The questions date back to the CalPERS Board of Administration’s decision in 2016 to select Frost as the successor to Anne Stausboll. Board members said they chose Frost because of her commitment to engaging with retirees and public employers, as well as her track record leading Washington state’s public pension fund, the $90 billion Department of Retirement Systems. CalPERS did not list a college degree as a necessary qualification for the job when it began searching for Stausboll’s successor. Frost said she told the board and a headhunting firm that she was interested in pursuing degrees at The Evergreen State College in Olympia, Washington, but board members did not ask her to complete a program when they hired her. Frost, 54, said her career accelerated first in Washington state and then at CalPERS since she first took classes at Evergreen in 2010. She did not enroll in a class after that year, although she said she still intends to complete a degree some day. “It’s something that I will finish in my life but this position at CalPERS is the most important thing I’m doing today,” she said. Frost’s salary in her last full year in Washington state was $139,000. She earned $387,000 at CalPERS last year, according to state salary records. Five board members told The Sacramento Bee that there was no ambiguity about Frost’s education in her application or in her interviews. They said they chose her because they believed she was someone who could work with a public governing board and bring together people with strong and opposing opinions about CalPERS to advance the fund’s goals. Theresa Taylor, another CalPERS board member, said Frost closed her interview by reminding board members that she did not have a degree. Taylor said Frost told the board she was interested in obtaining one and she would make it a priority if the board asked her to do so. The board did not direct her to earn a degree. “Quite frankly it’s not a piece of paper. It’s about somebody who can do a job. She presented herself as the best person who could do the job in that interview,” said CalPERS Board of Administration Vice President Rob Feckner. He described Frost as “up-front, very forthcoming” in disclosing that she did not have a college degree. The chief executive is not the highest paid position at CalPERS, or the post that recommends major investment decisions for the fund. That position is chief investment officer, a position that has mandatory education requirements in its job description. CalPERS is recruiting a new chief investment officer, and Frost will oversee that position. She rose up the ranks over 30 years in Washington State government and held a series of leadership positions at its pension fund between 2000 and 2016. She said she began working for the state on a 30-day temporary clerical contract as a young mom. That led to a nine-month contract, and eventually full-time work. “I think that 30-day (contract) really illustrates what I did throughout my career. I work very hard, I get completely consumed by that job, and I want to build capacity in that job,” she said. The questions about Frost’s education surfaced last month when Webber, who writes for the blog Naked Capitalism, alleged that Frost mischaracterized the extent of her education first in the CalPERS application process and later in a press release announcing her appointment. Webber pointed to a section in the hiring packet that indicated Frost was pursuing dual degrees at The Evergreen State College in Olympia when she applied to work for CalPERS. In fact, Frost had not taken classes at the college in years. CalPERS included a similar description of Frost pursuing degrees at Evergeen in its press release announcing her hire and in her employee biography. CalPERS has since edited the biography in a way that deleted a reference to Evergreen. Webber declined to speak to The Bee by phone. In an email, she said the body of her work on CalPERS speaks for itself. CalPERS board member Margaret Brown told Bloomberg last month that she wants CalPERS to open an investigation into Frost’s hiring. Brown was not on the board when Frost was hired. So far, she is alone in demanding some kind of action following Webber’s pieces on Frost. In a follow-up piece on Frost’s background, Webber connected her work this year revealing misleading information in ousted CalPERS Chief Financial Officer Charles Asubonten’s application to Frost’s performance. “While it may seem pedantic to hector Frost over her error-rife resume, it is actually telling evidence of her failings as a manager,” Webber wrote. She further criticized CalPERS board members for accepting claims in Frost’s application. “The fact that the board can’t be bothered to do this right says they are not fit to serve and need to be replaced,” Webber wrote. Webber’s take on Frost’s application resonated with retirees who believe CalPERS withholds public information and suffers from weak leadership. To them, CalPERS did not have a good reason to describe Frost as pursuing a degree when she was not enrolled in a program and not making progress toward a credential. “Part of it for me is the pattern of secrecy CalPERS does about everything,” said Tony Butka, a former state labor relations mediator. He wrote a letter to the State Personnel Board this week asking that it investigate Frost’s hiring and discipline board member Richard Costigan. Costigan also is a CalPERS board member who has defended Frost’s hiring in news reports. Outside of CalPERS, lawmakers and advocacy groups have weighed in on Frost’s behalf since Webber began writing about Frost’s education. “The CalPERS Board of Administration has the appropriate authority to address internal issues should anything be deemed inappropriate. I do not believe that will be necessary in this instance,” said Assemblyman Freddie Rodriguez, D-Pomona, chairman of the Public Employees, Retirement and Social Security Committee. On the other side of the aisle, state Sen. John Moorlach, R-Costa Mesa, said he appreciated that Frost has been “accessible and she’s been willing to meet, she has experience.” Moorlach is a pension reform advocate who proposes every year to adjust the retirement benefits public agencies can offer. The League of California Cities, which has been the most outspoken advocacy group raising concerns about CalPERS’ fiscal health since Frost took office, also continues to back her. The league earlier this year issued a report that said CalPERS fees were becoming “unsustainable” for some of its members. Leaders of the league say Frost has motivated cities to become more active in CalPERS, and kept them informed about important votes. “From sitting down with the League’s executive officers this last spring, to meeting with mayors and council members from all over the state in June, we have appreciated the efforts of Ms. Frost and her team to listen, actively engage our membership and identify common ground.,” league Executive Director Carolyn Coleman said. Frost on Wednesday spoke about her background during an all-staff meeting at CalPERS. “I have to stay focused. We have to stay focused. It really is the only way we can achieve the goals we have set,” she said.